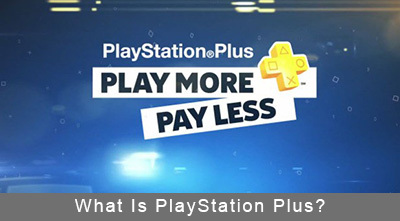 » What Is PlayStation Plus? When it was unveiled on the PlayStation 3, many gamers were confused about what PlayStation Plus would entail. Since then, the program has seen almost unanimous love as Sony has showered free games on anyone who is part of the program. How will the program change from the PlayStation 3 to the PlayStation 4? The biggest change between the PS3 and PS4 is that a PlayStation Plus account is now required for online multiplayer for most standard retail games. Free-to-play games are exempt from this rule depending on what the publisher wants and Sony has confirmed that all non-gaming services, such as Netflix and Hulu, won't require PlayStation Plus. Many thought that there was no way Sony would continue giving away free games with PlayStation Plus subscriptions on the PlayStation 4 but those gamers were wrong. New PlayStation 4 owners who are PlayStation Plus members will receive two indie games for free: Resogun and Contrast. Future free games will include a copy of Driveclub with limited features. Sony will add new games to the service on a monthly basis. Being a PlayStation Plus member will entitle you to additional discounts above and beyond normal sales. For example, a game that is 50% off for a week for everyone may be 75% off for PlayStation Plus members. In time, the PlayStation Plus membership will pay for itself! PlayStation Plus members will also gain access to betas and special promotional weekends for PlayStation 4 games. For example, Sony is planning on hosting a free Killzone: Shadow Fall multiplayer weekend for all PlayStation Plus members at the end of December. Your PlayStation Plus membership carries over across the PS4, PS3 and Vita. One membership will get you all the benefits on any Sony gaming system! Currently, PlayStation Plus is $17.99 for three months or $49.99 for a year.